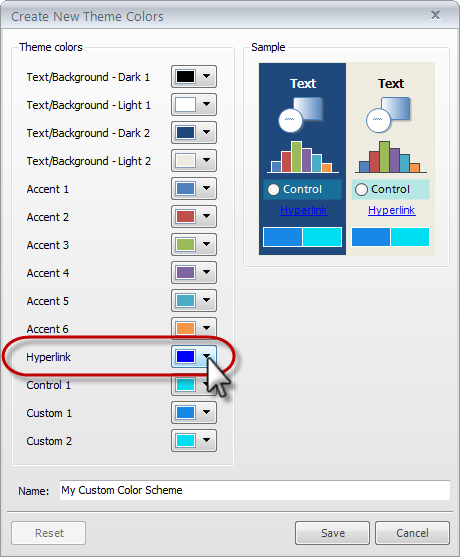 The hyperlink color is controlled by your theme colors. To change it, go to the Design tab, and click the Colors drown-down list. Either select a different color scheme, or create a new one. Click here to learn how.